I have just been on a bike tour in Provence France organised by my friends Pieter and Carolyn of Bike Plus Tours. My wife and I met Carolyn and Pieter in Breckenridge, where we all live most of the year, and we have become good friends. Carolyn is an Aussie, like us, but has been an expat since 2002. She was a professional Triathlete based in London for many years. Pieter is Dutch and was a professional cyclist in Europe. 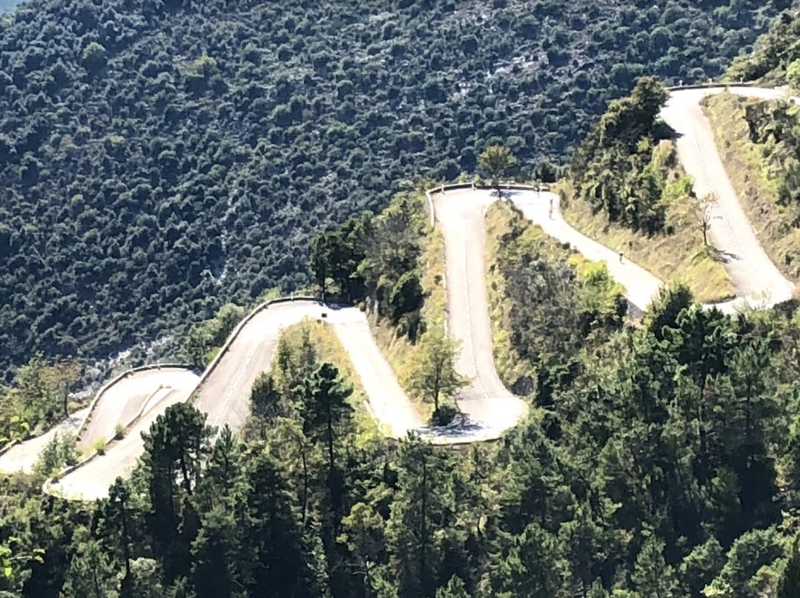 They have been organising high-performance tours for road bike enthusiasts in Europe for many years, and they talked me into going along on their Provence tour just recently. They led four tours in Europe this year, two in Provence, one in the Dolomites in Italy and another Spain. Looking at their website, they have three tours lined up for 2019, one in the Colorado Rockies, Maratona and Stelvio in the Dolomites, and a tour of the French and Italian Alps. My trip in Provence was spectacular and a test of endurance; six days of cycling with one rest day. 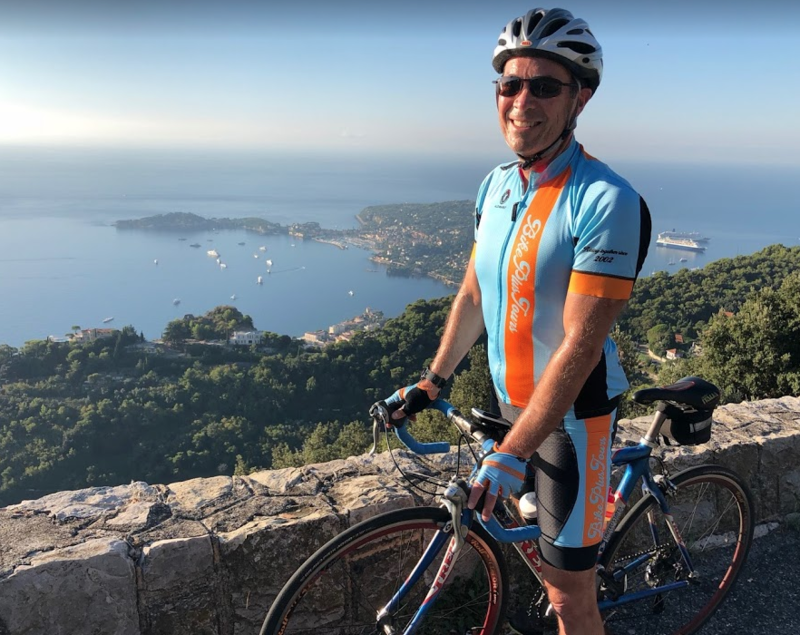 We stayed and rode through beautiful French villages, rode through the Gorges du Verdon, climbed Mt Ventoux, and rode along the coast from Nice. I am told these are the roads the professionals train on, and we spotted a couple. 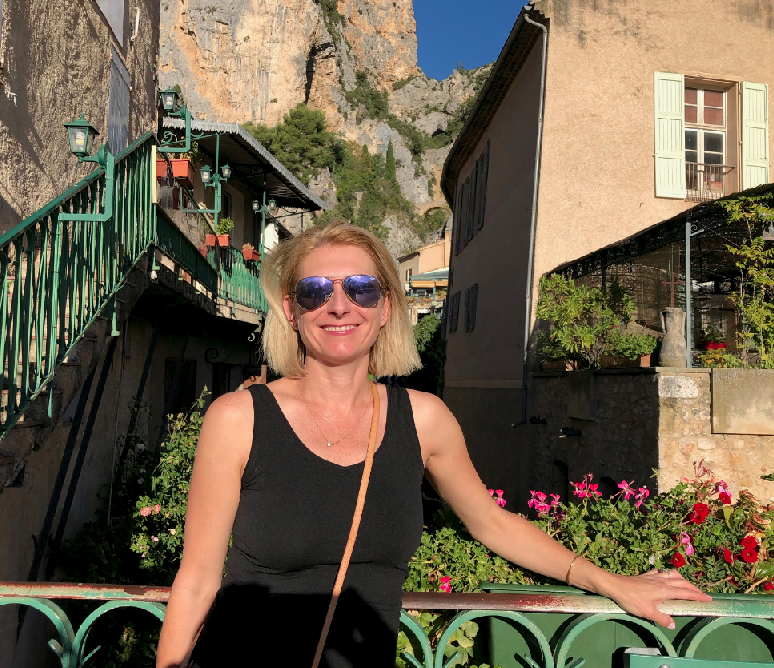 My wife, Gabbi, came on the tour as a non-cyclist, she hired a car for some of the trip to travel between villages, visiting wineries, shopping, and practising her French. Carolyn and Pieter arranged the accommodation, transfers, breakfast and dinner all included in the package. They chose the restaurants expertly and guided us to the best stops for coffee and lunch on our daily rides. They had a support van loaded with fuel to keep us going; it was a welcome sight to see Guisseppe, the van driver, waiting at stops with the van door open, drinks and snack. and a couple of deck chairs. Pieter and Carolyn led the rides and swept us up. But it was a light touch, everyone went at their own pace, so we often broke into smaller groups and had to find our own way, armed with the routes loaded up on our Garmins. There was a competitive spirit in the group, and there were a few climbs that I pushed hard not to lose another member of the group, or get the top ahead of another. And plenty of encouragement when we made it the van or lunch. On the flat roads, we often made our own peloton riding fast and safely through the country and safely in the towns. 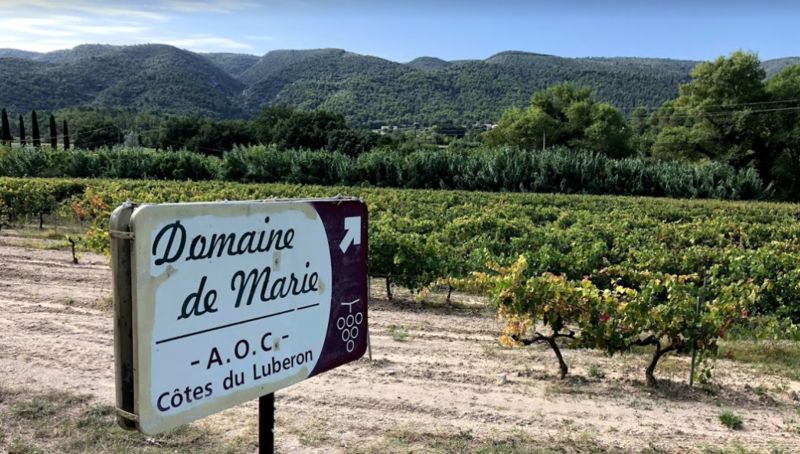 Carolyn and Pieter set out fantastic routes, avoiding the main roads, and hitting fantastic scenery through wineries, lavender fields and orchards, over-looking gorges and villages. There were plenty of wrong turns and forks in the road, but whenever I or my Garmin was confused, Carolyn and Pieter seemed to show up. 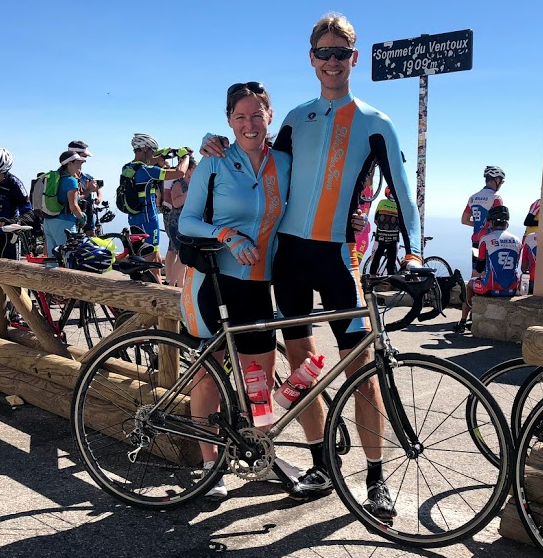 Before the trip, Pieter and Carolyn took me on some training rides, gave me some lessons on descending, set up my Garmin and helped me pack and reassemble my bike in Moustiers (our first stop). I may have got some special treatment since I live close by, but I know they were checking in with all their guests to make sure they were prepared for the ride; especially the few that were new customers. They have a number of regulars and repeat customers. The tour was like being with a small group of friends and Pieter and Carolyn were just part of the group. Everyone was pretty self-sufficient and off the bike could do their own thing. It was a guided tour, but you felt part of the environment, not part of a tour group. I recently got back into cycling, after an off and on history. My knees are not coping with long distance running any more, so have been spending more time on my bikes. I was riding the bike I bought back in 2000 while living in New York. I often get comments from enthusiasts as it is the Trek 5200 with US Postal Service decal made famous by Lance Amstrong in the 1999 Tour de France. It’s a bit of a relic, like its owner, but it still going pretty well. I reckon I’ll be back next year for another tour. Maybe I’ll do the Maratona dles Dolomites tour. This is one Carolyn and Pieter do every year built around a famous one-day cycling event. It is very hard to get into with 9,000 participants and more than 35,000 entrants vying for a spot. Carolyn and Pieter are an official travel partner and can guarantee a spot for members of their tour. I've just been out for a Sunday ride with Carolyn and Pieter around our local Lake Dillon in Summit County Colorado; on our cafe break, Carolyn told me she is planning a non-riding partners program, inspired by Gabbi and some feedback from her guests on our recent tour. There was mention of wineries, a spa day, golf, mountain hikes, and cooking classes. It will be interesting to see what she comes up with, but I suspect it will be crafted with Carolyn's typical careful planning. If you have ever wanted to do a serious cycling tour along famous routes in Europe, I highly recommend getting in touch with Carolyn and Pieter. Talk to me - we could join up an make a group. 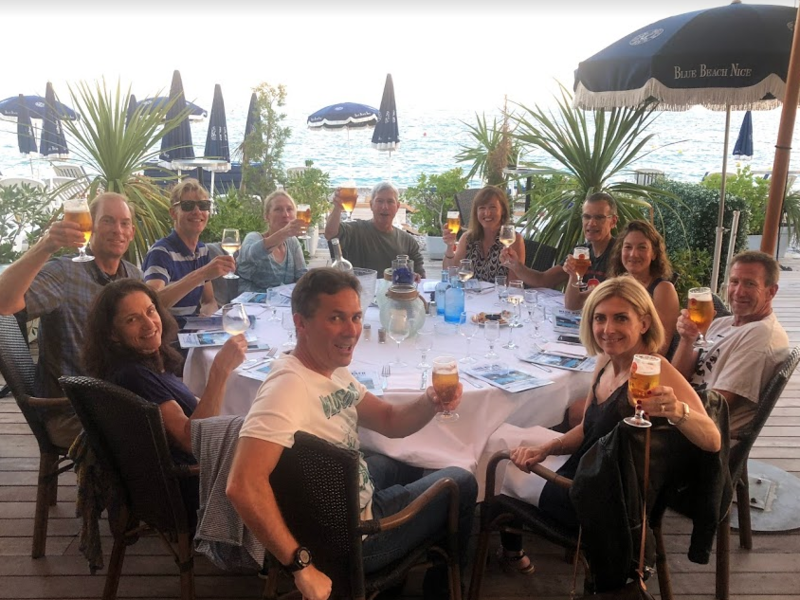 They are also able to design tours to suit your own group or club, I know that they design and lead a tour for the same group from New York every year. A trip in mind for the next European summer would be great motivation to ride yourself into shape.